The Y.A. 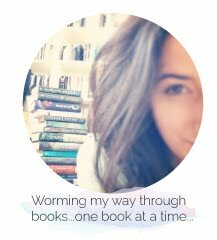 Bookworm Blogger: Two Year Blogoversary! Today, fellow bookworms, The Y.A. 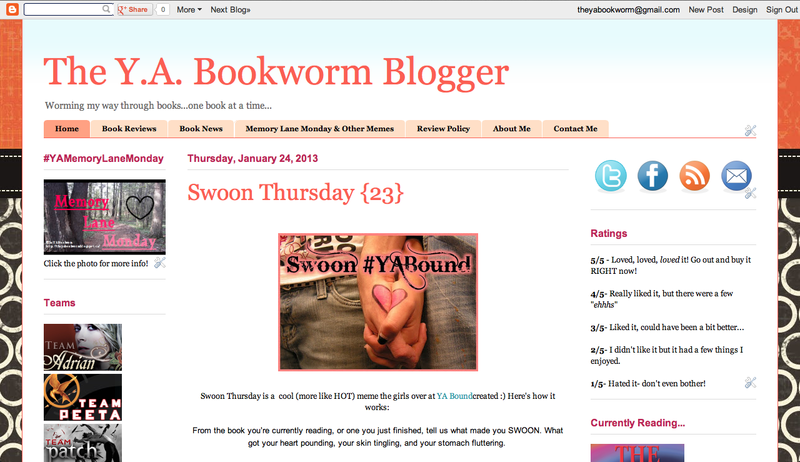 Bookworm Blogger turns two! TWO! Can you believe it?! It amazes me that two years have already flown by....feels like just yesterday we were celebrating this blog turning one! To celebrate, I thought I'd go through some of the amazing things that have happened this year! -I was lucky enough to be invited to Penguin Blogger Night at Penguin's Toronto office. Traffic made me think I was going to miss it, but thankfully I managed to arrive with lots of bookish awesomeness time to spare. I also got the opportunity to meet a couple of bloggers and YA authors Morgan Rhodes and Adrienne Kress! Such a memorable night! 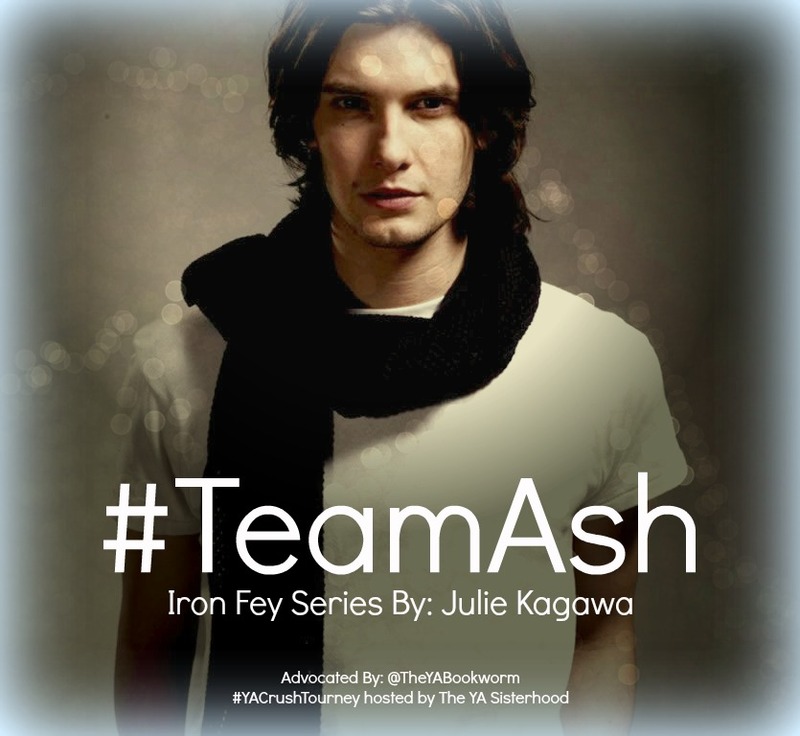 -Advocated #TeamASH in the YA Crush Tourney hosted by the ladies of YA Sisterhood! 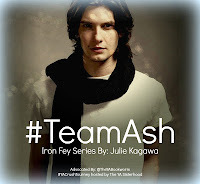 This was one of the most fun things I did this year-- tweeting, fangirling and supporting my boy Ash from the Iron Fey series by Julie Kagawa was an honour! The ladies that helped me out in tweeting during both of his matches made the whole experience even better-- thank-you girls! You know who your are! ....Even though we didn't win in our second match against Four, we got INCREDIBLY close (and with everyone getting excited about Allegiant and the Divergent movie, I didn't think the polls would be that tight)! Once again, thank-you YA Sisterhood for picking me as Ash's advocate-- I had a blast! -Developed multiple publisher connections! Approaching publishers used to scare me (as crazy as that may sound) and this year I finally took the plunge and emailed a few Canadian publishers.....now, I can definitely say I'm a lot more confident in making requests. 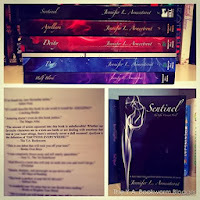 -Got QUOTED in Sentinel by Jennifer L. Armentrout.....Just typing those words seem surreal to me! -The Y.A. Bookworm Blogger ended the year with over 500 GFC followers, 283 Bloglovin' followers, over 1000 Twitter followers, 221 Facebook Likes, 450 Instagram Followers, and, just a couple days ago hit 100,000 PAGEVIEWS! That number NEVER seemed possible to me....I'm still picking up my jaw from the floor! Although my blog definitely isn't the fastest growing blog out there, I still can't believe there's this many of you that care enough to hit "follow" and stop by to leave such wonderful comments! I want to tackle hug every single one of you! Whether you've been a follower for a while now or just came across my blog today, I appreciate and thank-you for all of your support, enthusiasm, swooning and fangirling....You've all made reading even more fun than it was before! PS. Can you tell I'm minion obsessed?! They're just so adorable ^.^ ! First congrats to two years! :) For me, something I accomplished was to learn more about baking and now I sometimes bake myself. Congrats!! Plus you sound fast growing to me!! Oh I forgot to mention that something I accomplished in 2013 was starting my book blog! Congrats on the two years!! Isn't blogging fun?! Something I accomplished last year...well, I've been a very bad writer lately and haven't done much with my book. I did do another round of editing to it, so once again, it's complete. Haven't tried querying in a long time and should probably try doing that again. On the more positive note, I read 200+ books last year! Thank-you-- Yes, it's so much fun! Love getting to interact with so many people in the book community! Happy 2 year anniversary! Thank you for the giveaway. I accomplished reading a nonfictional book in 2013. This is a big deal because I'm a slow reader and prefer fantasy. I was pretty proud once I finished it! I finally found my 2nd subject for my BA! And I will be getting my BA in 2104, so I'm pretty happy about that. You're two! Congrats! The way you've turned blogging into an adventure is inspiring. 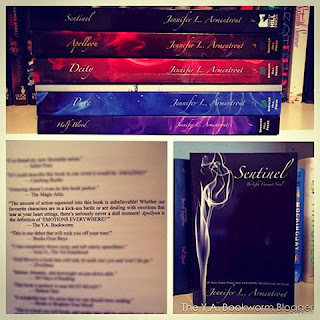 One of the things I'm most proud of is publishing my books on Smashwords. In Dec 2012 and March 2013 I published on Amazon, but the formatting is much easier. I had to strip all the formatting and start over for Smashwords. I was really proud. Now I'm a formatting fool! Love the all the minions. At the end of Despicable Me when they started singing I lost it. I laughed until I cried. Oh I know, that scene made me laugh like crazyyyyy-- both films in general just make me laugh my head off! Have you hear about the Minion Movie that's coming out? I'm SOOO excited! Congrats on two years!!! That's awesome!! Something I accomplished- I wrote a book! and self-publishing it March 4, 2014! You wrote a book?! That's BOOK-tastic Caitlin! Happy 2 year anniversary! :) Something I accomplished - Starting my book review blog, was definitely a highlight of the year for me :) I love your layout and have been thinking of getting mine done by someone who actually has a clue what they are doing(I really, really don't) - just wondered what package you went for, if you don't mind me asking? I can't figure out what any of them mean! Awww congrats on all your achievements! That's great :). I also got my first ARCs and got more confidence with publishers. Did an internship with a publishing company too which was incredible. An internship with a publishing company?! That's awesome! I hope to do something like that in the future! Aww :) Your mother is lucky to have daughter like you! WHOO! Congratulations! I hope you have another lovely year! I've only more recently found you, but I'm excited to see what comes over this next year. That's so incredibly amazing! Congratulations-- what a big accomplishment! Congratulations on your Two Year Blogoversary!! That's awesome. Those are two VERY big accomplishments! Congrats! *high fives* !! I've accomplished reading all the books that I've always wanted to read! Thank you for the amazing giveaway! As for me, I managed to read 69 books last year. Whoohoo! That's a lot of books!!! =D Happy Reading Anne ! I love to read but the little dont always have time for me to pick up a book! Congratulations on your 2nd anniversary!! woohoo!! In 2013, we bought a house. :) As a blogger, I blogged more. (I kept it private as a reading log for a long time) Happy Reading! Hmm. I feel remarkably pitiful, but 2013 wasn't the greatest year for me. I had to have surgery a couple of times, and was sick a lot. And broke my arm, twice. So no great accomplishments. But I was with my family and my husband and our dogs, and that is the best that I could hope for! Thanks so much for the giveaway, and more importantly Happy Blogoversary! Aww sometimes you just have those kind of years....Most important thing is being around those we love :D Thanks for sharing Jaime ! To be honest, 2013 wasn't really the best year, for me. But in the end, sometime in December. Some blogger emailed me and she said 'Congrats, you won an ARC copy of this book.' And I was stunned, I couldn't believe I just won! It was the first time I won an ARC copy! I was so so grateful that I won a book and it's literally the best gift for me, both Christmas and birthday gift! Thank you for the giveaway and most importantly, Happy Blogoversary! More years to cherish and stay amazing. Your blog is really cool, promise. Btw, is this international? Lol. I'm so glad to see that you're growing and getting ARCs and building your connections with people. I dropped out of (co-)blogging at the end of 2012 and starting over again on my own is really daunting. It's lovely to see that you're getting where you want to be, slowly but surely. I think the biggest accomplishment for me in 2013 was getting over my fear of setting up a blog again for these very same reasons. Thank-you! I look forward to hearing more from you! Yes, starting a blog can be scary (even if it is your second time)...it becomes your "baby" in a way ! :P Congrats on the new blog!! My biggest accomplishment for 2013 was applying to grad school and getting an internship. My biggest accomplishment for 2013 would have to be reaching my goal to read 50 books... Happy Blogiversary !! Ahhh, I love book goals-- congrats on accomplishing yours last year!!! Here's to 50 more in 2014!! !